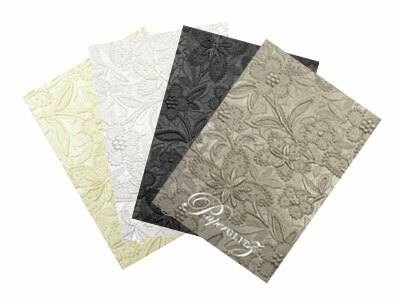 Premium pure matte white paper from Italy with hammer embossing. 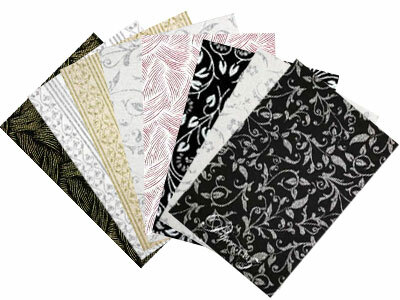 This paper is manufactured by Gruppo Cordenons in Italy and converted and packaged by Paperglitz in Sydney, Australia. This is a premium range of papers that has for many years been a favourite for all wedding stationers and is the perfect size for Gift Vouchers, Gift Certificates, Flyers, With Compliment Slips and more! 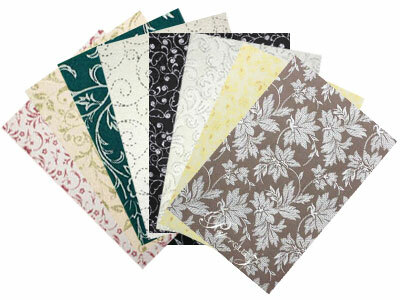 This is one of the specialty paper ranges suitable for inkjet, bubblejet and laser printers. As a result it is the most widely used paper range for DIY wedding invitations and projects as most household and standard office printers will produce beautiful results. FSC Certified - Forest Stewardship Council certified from responsible (plantation) sources. We also carry this colour in 280gsm card stock and a wide range of die cut DIY invitation cards. 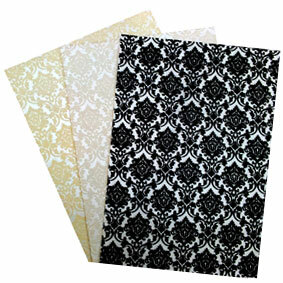 Buy with confidence and specify only "Genuine Paperglitz Specialty A5 Papers" for your next project.